Usually, when a company operating within the iGaming industry offers a number of different sites, they are all much of a muchness, is as much as they tend to offer the same content, and a similar layout as each other. Cassava Enterprises appears to be the exception that proves the rule, however, as they have over 30 sites which are, for the most part, very different from each other. This is both a good and a bad thing for players, because there is variety, and that’s always good, but it also means that some Cassava sites are better than others, and it’s worth putting in the research. 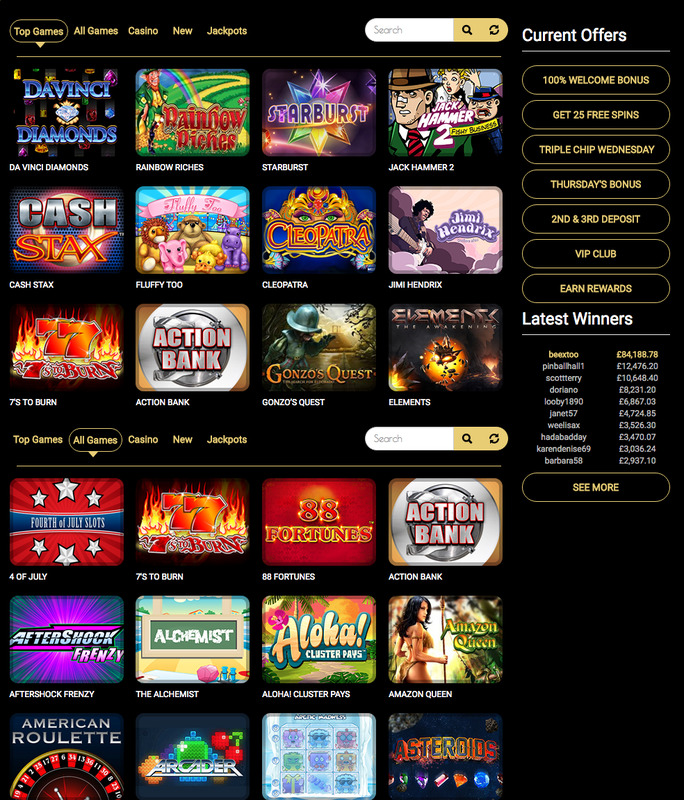 A new name joining the list of sites that includes Winzino, Reef Club Casino, Oink Bingo, Jester Jackpots, and Wicked Jackpots, is Sky High Slots, a site with a very different look and feel to anything that Cassava have released before. Is this a good thing, however? Or has too much attention been put into making Sky High Slots feel different, to the detriment of its quality? Sky High Slots, as the name suggests, has a big city theme, with the logo having an industrial feel, with a metallic colour and a skyscraper playing the part of the eye. There’s also a subtle, sepia style cityscape in the background complete with more tall buildings. That’s about it for execution of the theme, but that’s probably a good thing, because any more and the site would start to feel like the host of online casinos that incorporate the Vegas skyline into their background. Everything else here is on a plain black background, which maintains the subtlety while also providing a sleek and stylish look to the site. The homepage is adorned with thumbnails that allow instant access to popular games at the site, something that has become necessary for sites to do over recent years, while the banner across the top of the page introduces you to some of the non-slot games available at the site, to ensure that fans of other game types will not be put off by the name, assuming there’s nothing but slots here. When it comes to games, those sites which succeed in the modern market offer a host of games from a plethora of different software developers, and while Sky High Slots clearly makes an effort at this, it isn’t enough. The list of names providing the games here includes 888 Holdings, Blueprint Gaming, Eyecon, IGT, NetEnt, NextGen Gaming, NYX Gaming, OpenBet, PariPlay, SG Gaming, and Williams Interactive, but is missing some big names such as Microgaming and Playtech, as well as up and comers such as Yggdrasil, meaning that the options on offer here pale in comparison with established sites, as well as a fair few new ones. That isn’t to say there’s nothing on offer here. Obviously, as the name suggests, slots are the focus, with a range of popular favourites and new releases, as well as a host of jackpot slots. However, as Sky High Slots is intent to make you aware of, there’s more than slots available. There’s a decent number of table and card games, as well as other, less common games including Crossword Cash and Mighty 40 on offer. Sky High Slots needs more games, that is for sure, but if it adds them, this could be a top-quality site.